Alexander Robertson are pleased to offer for sale 40 Graduate Road, Bundoora. A state-of-the-art building including a substantial fit out and on-site parking for 57 cars. Located in the thriving University Hill Estate and surrounded by prominent companies; 40 Graduate Road is perfectly positioned adjacent to the Metropolitan Ring Road. 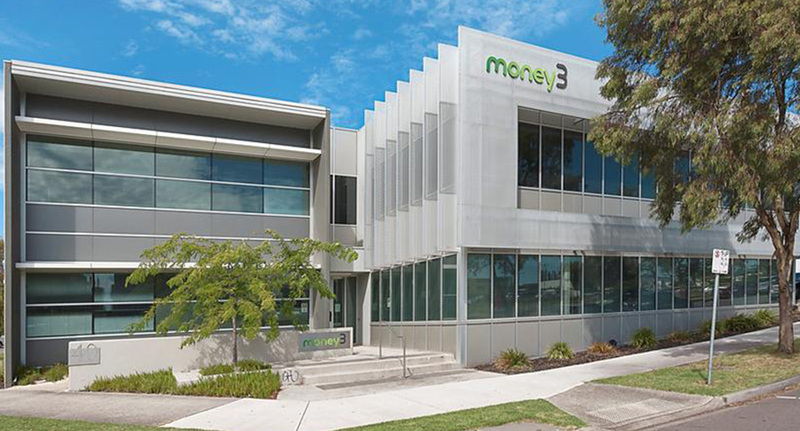 The property is fully leased to publicly listed long term tenant Money 3 Corporation Ltd. on a 6 year lease returning $460,000 p.a. (net). This property is being sold by Expressions of Interest with conjunctional agents Miles Real Estate. Contact Kristian Peatling or Warwick Bramich for further information. Sales, Sales & Leasing Alexander Robertson, car parking, EOI, for sale, Fully Leased, Long Term Lease, Metropolitan Ring Road, Publicly Listed, sales, Sales & Leasing, Securely Leased, state-of-the-art, Warwick Bramich permalink.